Want to learn how to make biscuits from scratch? These homemade buttermilk biscuits are the perfect last-minute accompaniment to a meal. They’re great for breakfast, too! 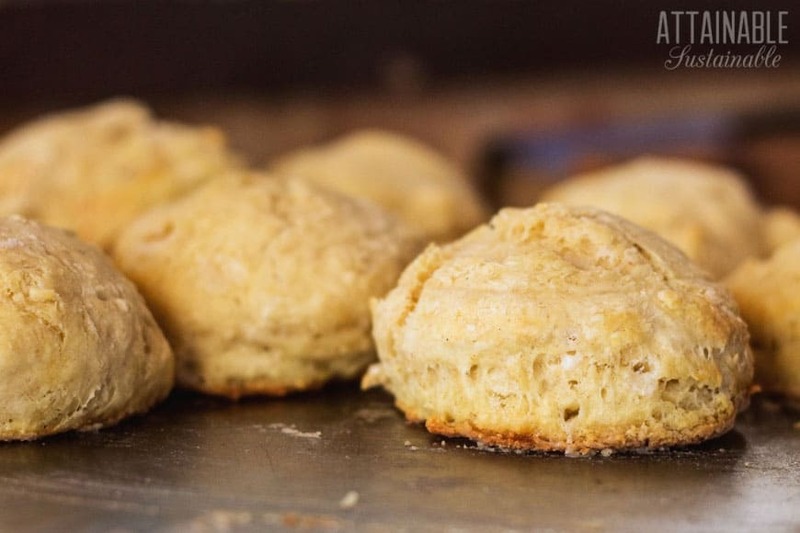 There are many ways to make good old-fashioned biscuits from scratch. It starts with organic flour, a bit of leavening, some fat, and some dairy, but there are many possible variations. Ask a bunch of home chefs how to make biscuits from scratch, and each will have a different answer! In this particular biscuit, we are using baking soda as the leavening agent. Baking powder biscuits are a delicious biscuit in their own right, but the baking soda in this recipe plays off the tang of a classic ingredient – real buttermilk. Buttermilk comes in several forms. The most common is a commercial variety that is often called cultured buttermilk. 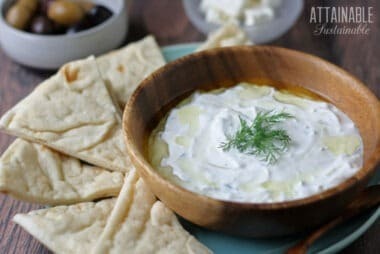 It is a thin yogurt consistency and, for truly cultured buttermilk, should list at least one strain of bacteria as an ingredient. A similar cultured buttermilk can be made at home using either a purchased culture or a purchased commercial buttermilk. The buttermilk I like to use in these biscuits is the real-deal old-fashioned buttermilk left from making homemade butter. It is still tangy and a bit thick from the ripening process raw cream goes through before churning. But it has an unmatched aroma and flavor and makes some of the best biscuits and pancakes around. 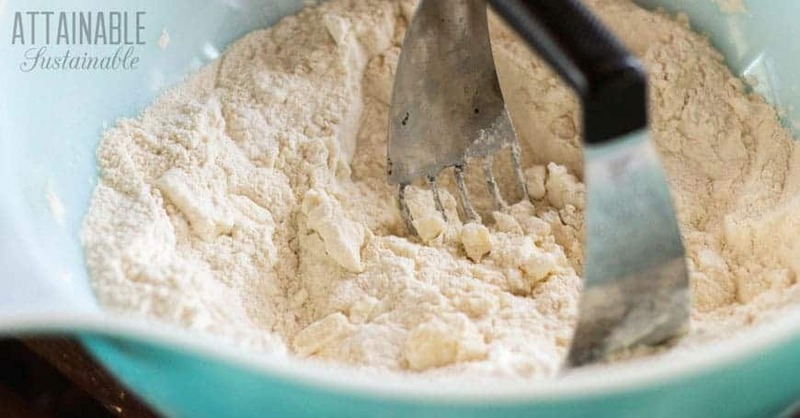 Whether you are making your homemade buttermilk biscuits with baking powder or baking soda; buttermilk or milk, one thing always remains the same. For good homemade buttermilk biscuits, you want to handle the dough as little as possible. This ensures high-rising, tender biscuits that haven’t had too much of their gluten developed. 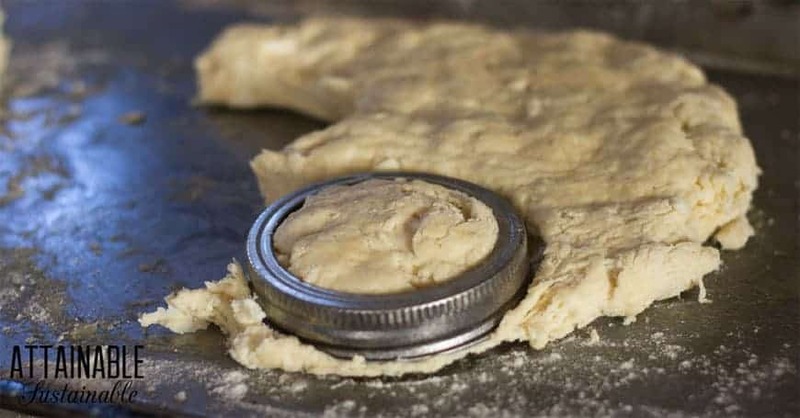 You can use a canning ring or a highball glass to cut the dough into rounds. You can also use a butter knife to cut it into squares. Serve these homemade buttermilk biscuits with butter, jam, or drizzle them with a bit of this lemon fermented honey. Serve these old fashioned buttermilk biscuits with butter, jam, or other favorite toppings. 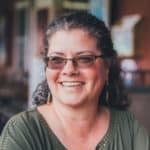 This is an easy and pretty much fail proof recipe for learning how to make biscuits from scratch. Preheat oven to 450 degrees. Grease a baking sheet and sprinkle it lightly with flour. 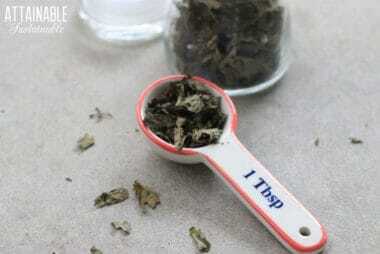 In a medium mixing bowl, combine the flour, baking soda, and salt and mix together thoroughly with a whisk or fork. 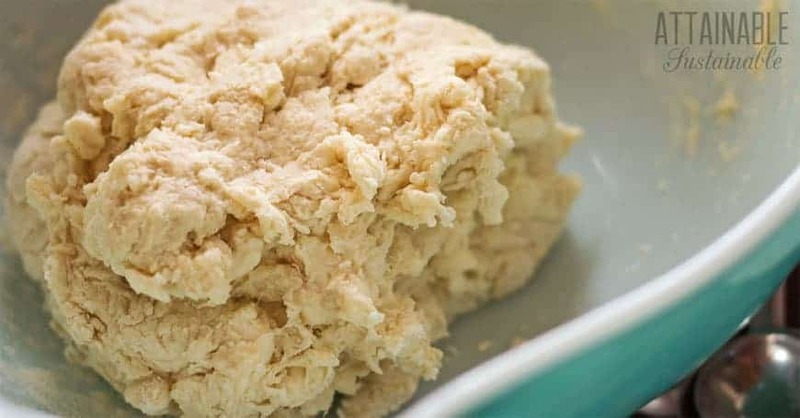 Add the butter, lard, or coconut oil to the flour mixture and cut the fat into the flour using a pastry cutter until the fat is the size of peas. Add the buttermilk and mix to combine. If the dough is still a little dry, add additional buttermilk one tablespoon at a time until a stiff dough just comes together. Knead only until a cohesive dough comes together. Move dough to the prepared baking sheet and press evenly into a 3/4 inch disc. Cut biscuits with a biscuit cutter or a narrow-mouth canning ring. Once all of the old-fashioned buttermilk biscuits are cut, pull the scraps together and cut into remaining biscuits. Spread the biscuits out on the baking tray and place in preheated oven. Bake for fifteen minutes or until golden brown on the bottom and cooked through. Whether you are making your biscuits with baking powder or baking soda; buttermilk or milk, one thing always remains the same. For good biscuits from scratch, you want to handle the dough as little as possible. I’m defiantly going to make these again!